Cotton Incorporated’s Consumer Marketing Division has launched a new television and online advertising campaign, Life is Uncomfortable, to help drive consumer awareness for cotton. According to a statement from The Cotton Board, the new campaign uses awkward humor combined with uncomfortable situations to contemporize cotton, create relevancy, and drive engagement with a younger consumer audience. The first commercial, Tattoo, launched on television and online April 23, including a showing on ABC’s American Idol. The other three commercials will launch digitally on May 7. Three of the videos are targeted specifically to women, and one is targeted directly to men. Beyond television, the videos will run on media sites like Refinery29, PopSugar, Men’s Health, and Women’s Health. The videos are all clickable and ultimately drive consumers to shop for cotton apparel on TheFabricOfOurLives.com. 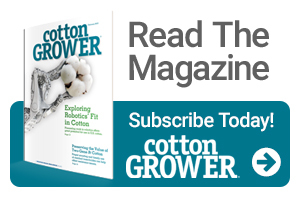 All four new videos leverage cotton’s comfort as a key benefit and reinforce the message that cotton is The Fabric of Our Lives. Other cotton benefits like ease-of-care, naturalness, and durability will be communicated through other advertising tactics including web banner ads, social media, blog posts, and custom content through media partnerships.